1. Make the pastry by sifting the flour and almonds together and rubbing in the butter. Add the sugar and egg, and combine to form a soft dough. Mine was very soft indeed which is why they turned out rather rustic looking, so next time I’d definitely add a dash more flour. Chill for 30 minutes. 2. 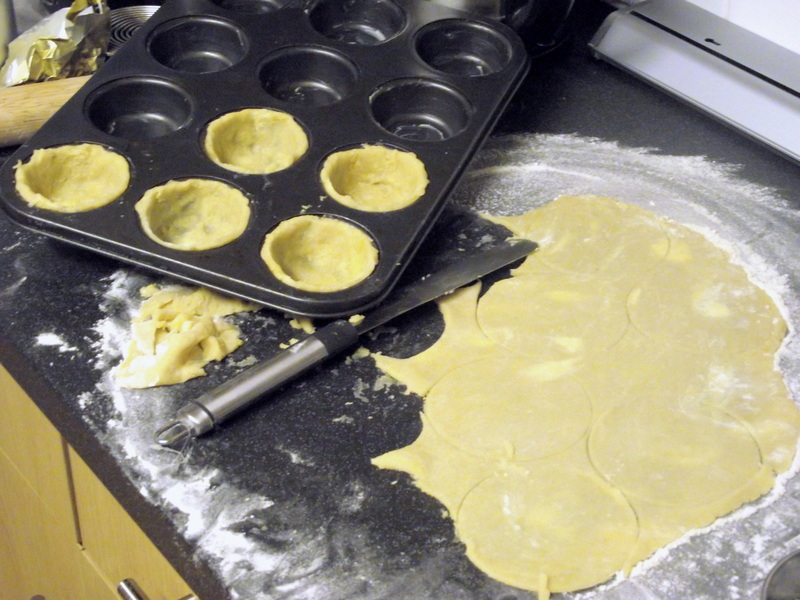 Roll out the pastry as thinly as possible and line the muffin tray. 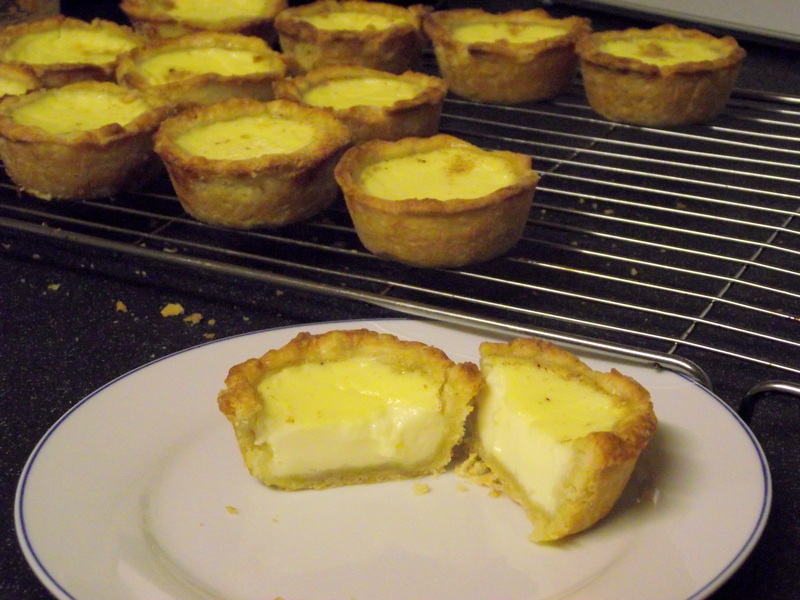 Return to the fridge while you make the custard. 3. Set the milk to warm over a low heat. 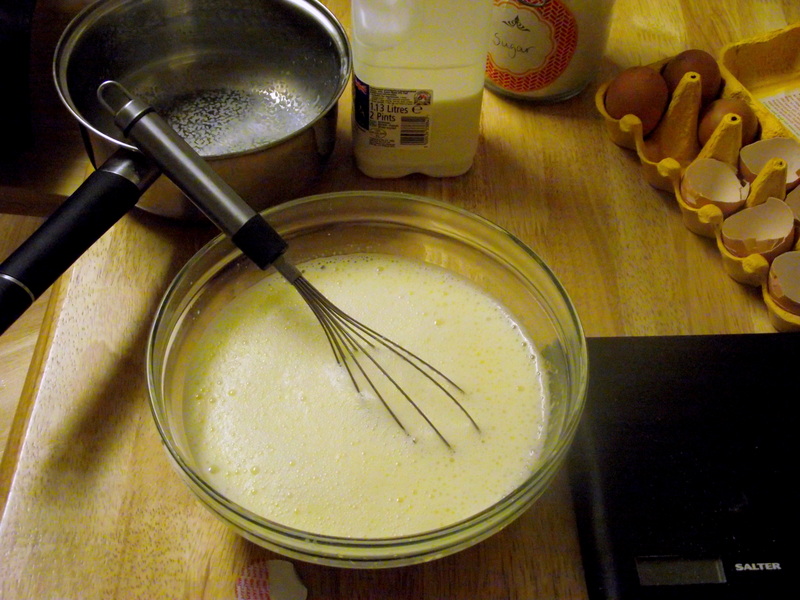 Whisk the egg yolks and sugar together until pale and frothy then pour over the hot milk, stirring constantly. 4. 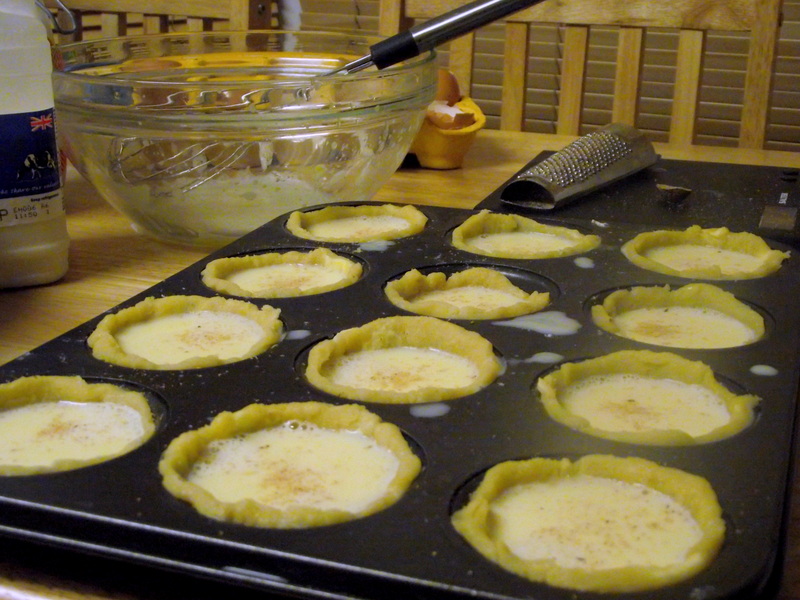 Transfer to the tart cases using a ladle or jug, then grate over a little nutmeg. You may want to do this on the oven rack, to minimise spills. 5. 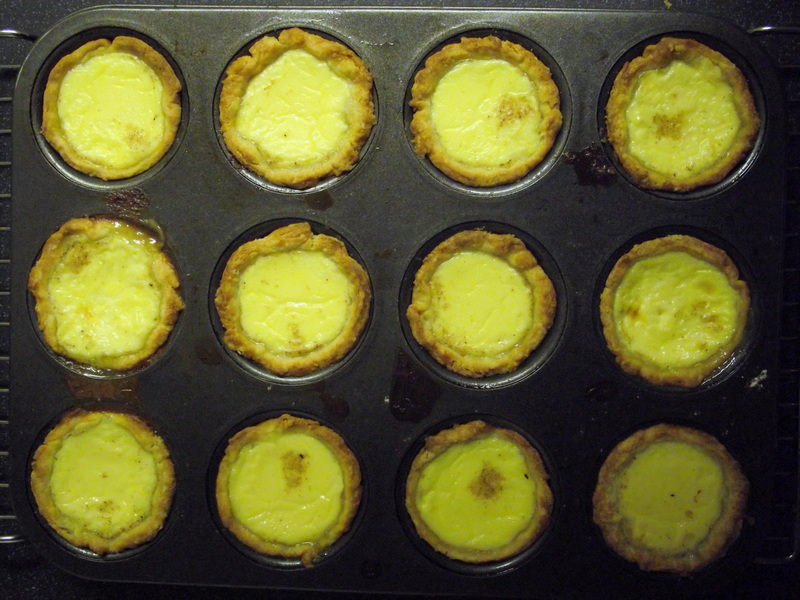 Bake in the centre of the oven at 200C for 10-15 minutes, then turn the oven down to 180C for a further 10 minutes. They should have a slight dome to them – Paul says a big dome is a BAD THING but I’m pretty sure mine did and they were very nice thank-you-very-much. 6. Leave to cool in their tin for at least 30 mins before transferring to a cooling rack. Now my ( unaccompanied) mug of tea looks positively tragic!